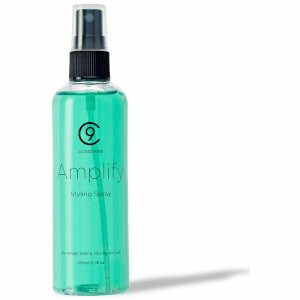 The Cloud Nine Amplify Spray boasts a unique and effective formula which works to give your locks a lasting hold and unbeatable shine. Perfect for creating root lift with the Cloud Nine Waving Wand, and soft, luscious curls with the Cloud Nine Irons, this spray gives a weightless and firm hold. The ultimate product to prepare your hair for styling. K.D.